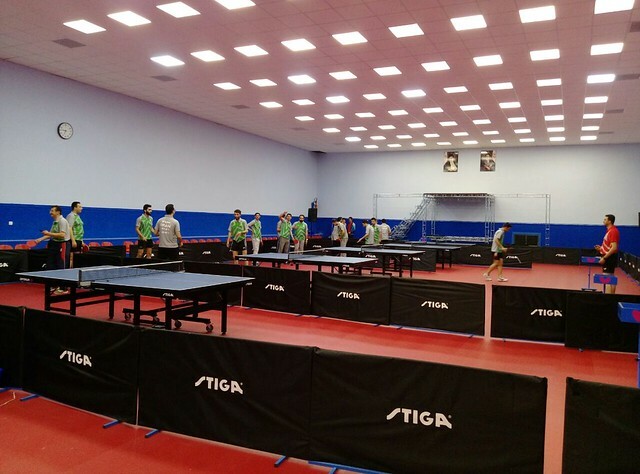 Staged in the capital city of Iran; Tehran, located in the north of the country, was the home for a recent ITTF/PTT Level One Coaches Course. Organised under the auspices of the ITTF Development Programme, supported by the Table Tennis Association of the Islamic Republic of Iran, proceedings commenced on Monday 30th April and concluded on Friday 4th May. The Course Conductor was Pouyan Paknejad; an ITTF Level Two Coach and previously coach of Iranian National Cadet Team. Proceedings throughout were administered in a dedicated hall for table tennis with all necessary facilities; high international standards were met. Well organized, Pouyan Paknejad followed the contents of the ITTF Level One Coaches Manual. Throughout, Pouyan Paknejad focused on basic techniques, sports science and training methodology. “The presence of national team players increased the quality of technical discussions; the showing of videos and training exercises were also warmly welcomed by the participants.” Pouyan Paknejad. A successful course, it followed the efforts of Christian Lillieroos of the United States, who in 2017 conducted ITTF/PTT Level One Courses followed by Course Conductor Training. “My thanks to Christian Lillieroos, he taught me a great deal and increased the knowledge of Iranian coaches. Also, my thanks must go to Afshin Badiee, the ITTF Development Officer for Asia for his guidance, support and advice. Also, my special thanks to the Iran Table Tennis Federation for preparing all the requirements needed to promote table tennis, especially the Education Committee led by Peyman Abolhassani who fulfils the role of organising these courses throughout Iran.” Pouyan Paknejad. A successful course completed and more progress for Iran; at the recent Liebherr 2018 World Team Championships, the men gained promotion to the Championship Division.